Dimensions: 29" x 7" x 21"
Dimensions: 24" x 7" x 14"
The Little Splint is the first of its kind. Its durable stainless steel construction and extremely fast heat-up time make it the only ultra-portable splint pan capable of meeting the most demanding routines for hospital or clinic use. MET Lab listed. 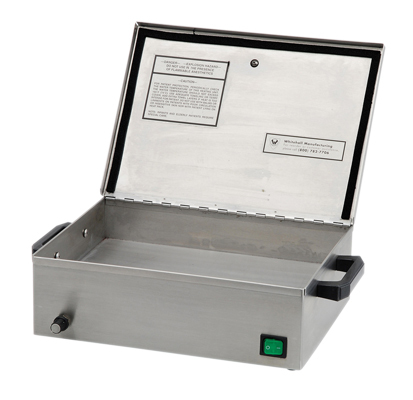 5-3/16"H x 16"W x 10-1/2"D.
Dimensions: 16" x 16" x 11"
The Manosplint® Dry Heat Oven has a compact design that can heat splinting material fast. 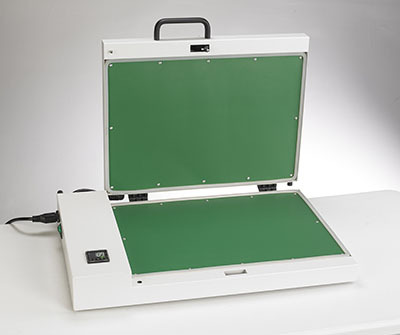 It is easy to transport with its briefcase design, and the high-quality stainless-steel casing provides a high level of robustness and heat insulation. 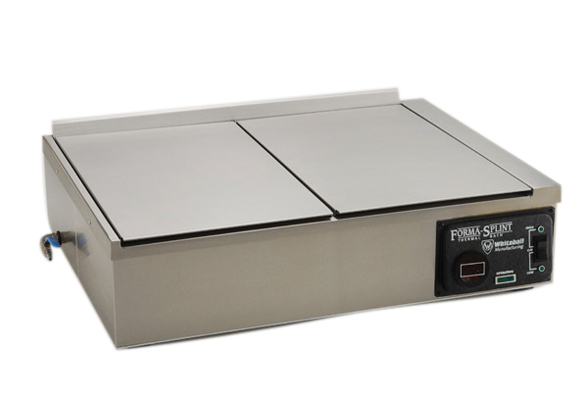 The heat pan is ready to use at 70°C (158°F) within one minute of turning the oven on. It features water-free technology, dry heat technology and digital controls. The water-free technology is ideal for situations where water may be difficult. The dry heat technology means there is no risk for contamination between multiple users. The digital controls have simple up/down keys to control the temperature and a digital panel indicating the target temperature. 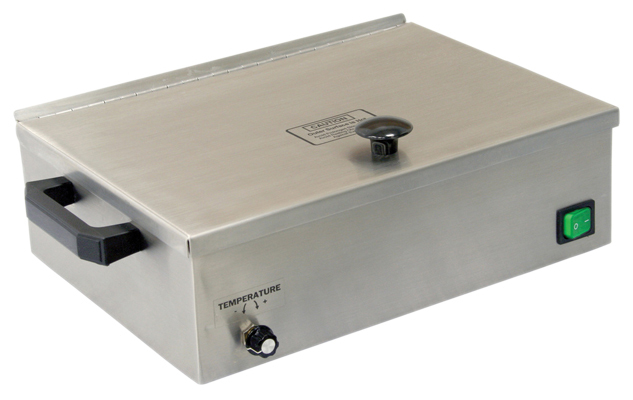 The oven gives an even amount of heat to splinting material with the temperature being able to adjust from 50°C (122°F) all the way up to 90°C (194°F). 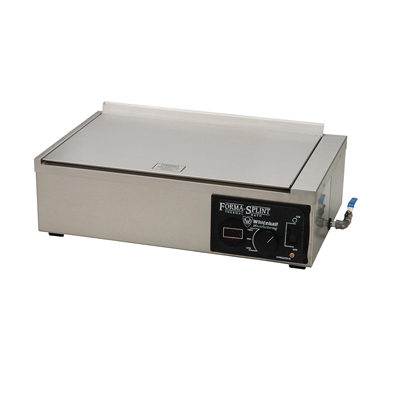 Internally, the oven has a non-stick surface which does not require constant cleaning after each use. 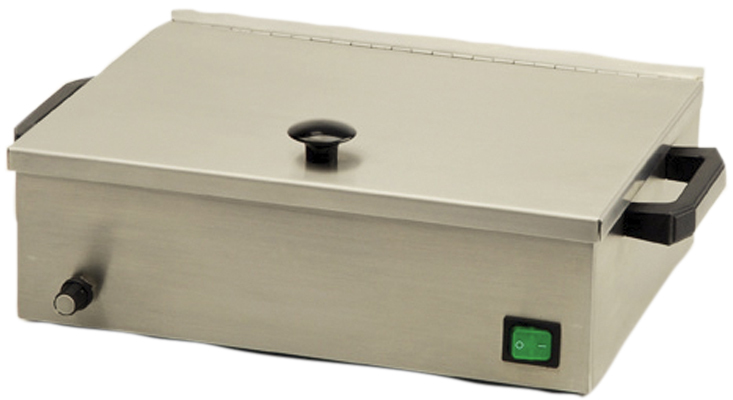 It is the ideal companion for therapists in need of a quick, hygienic and efficient heating method. Dimensions: 25.6" x 3.5" x 19"